Meditation ring - Poesie Ring. Personalized Ring. 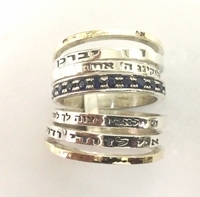 Hebrew ring. 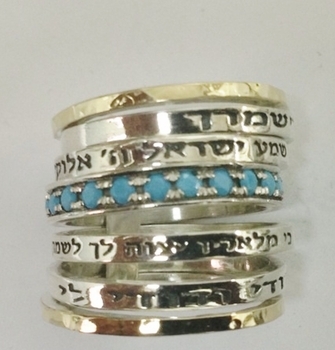 Love verses, good wishes or Prayer ring. 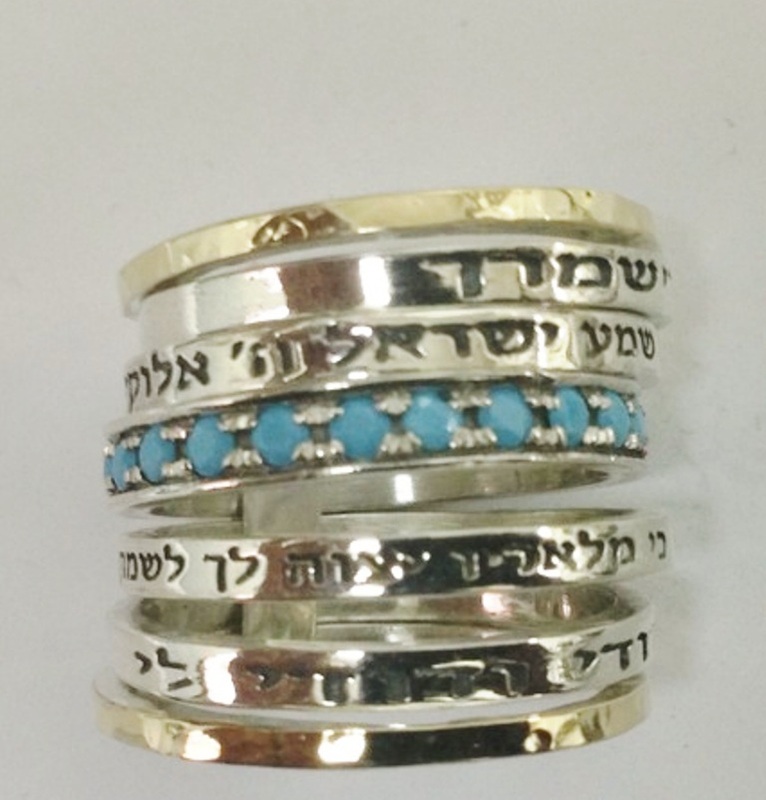 We design and manufacture Hebrew verses rings, prayer rings, poesie rings. We engrave the verse you choose from the verses bellow. Sterling Silver 925 and 9 carat gold exquisite jewel . Choose from the verses following or send us your own verse or sentence. 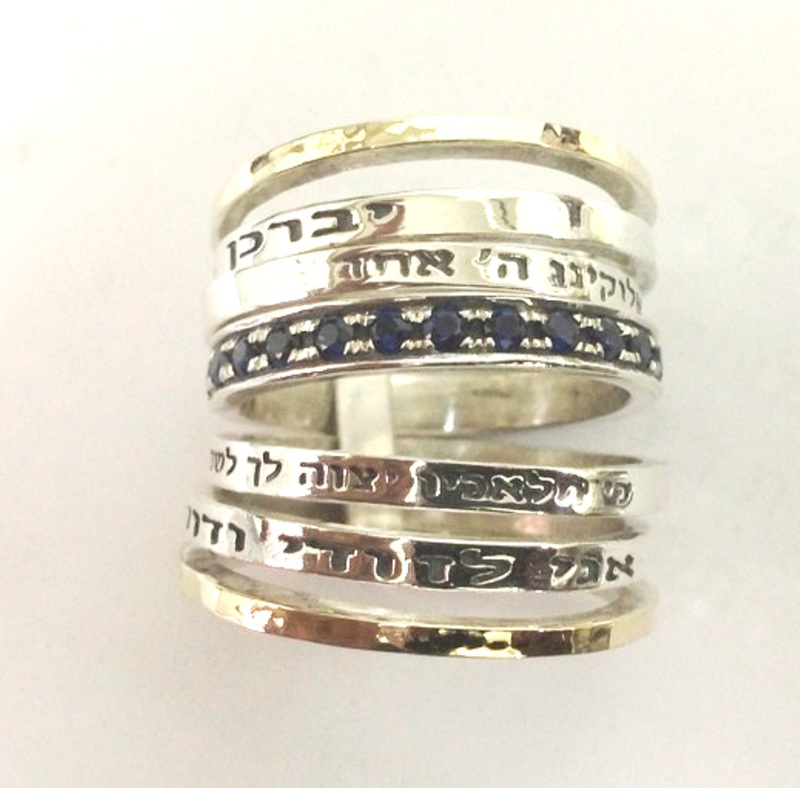 New very special Love and good wishes ring with the central band decorated with delicate czs. 4. Ki Malahaih Yetzave lah Lishmor - The angels order to keep you safePersonalize: We can engrave your names or text. Consult us by email.